The Dutch Epicure Shop LLC is the business and life's work of Wolfgang and Betsy Joas who emmigrated to the United States in 1967 from Germany and Holland respectively. 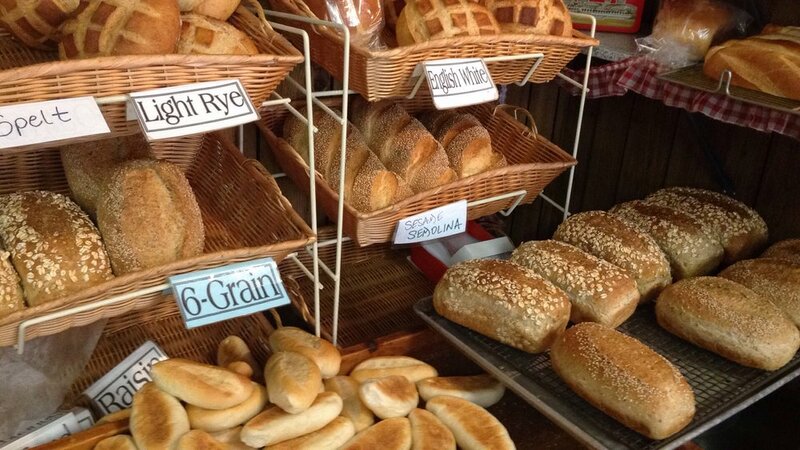 Taking over the simple bakery from an older area Dutchman, the business has now expanded broadly. We are now known region-wide for our European style pastries, breads, cookies and cakes made on the premises, German meats and sausages, Dutch and European cheeses, various fine teas, jams, chocolates from all over Europe, and of course Dutch food and Dutch groceries. With the help of the internet we are creating a following across the country and this year marks our 50th year making us Litchfield's Oldest Bakery and lone of the longest running businesses in the area. Daughter Wilma Joas has been heading the business since 2002 so that Wolfgang and Betsy can enjoy their retirement, but don't be surprised to see them still lending a hand! In the days of the big box stores and fabricated foods we strive to create artisanal products that nourish body and soul. A full line of fresh deli meats and cheeses from all over Europe add to our line, perfect not just for special parties and holidays but for the everyday as well. Personalized service and attention to detail are among our daily goals! Our baked goods are handmade just the way they always have been since 1967, with quality ingredients and years of training. Our prepared foods are rich in flavor and variety without any artificial ingredients or shortcuts. One layer white cake, one layer chocolate cake, chocolate buttercream and sour cherry filling, kirschwasser and whipped cream outside. Made with an almond paste bottom, pictured are cherry, we also make strawberry, blueberry, raspberry, blackberry, whatever is in season! Delicious almond paste baked into a cookie crust filled with apricot jam and apricots, of course! A personal favorite since I was big enough to sneak a cookie from a tin! Rye, 6-Grain, English white, French bread, 3-Seed, 6-Cereal, Raisin and more. We offer a wide variety of handmade prepared soups, quiches, pot pies and other meals that are ready to take home from our freezer. Just heat and eat! We specialize in delicious, fresh ingredients that are made just as you would at home. One of our most popular types of coffee cake...other favorites include lemon poppyseed, vanilla chocolate marble, chocolate chip and seasonal pumpkin, or cranberry. This one is apple, but other favorites are peach, blueberry, strawberry rhubarb, mixed berry, pumpkin...whatever is in season. New this year, we are now making out own ice cream with only the best, freshest ingredients. We know you will taste the difference! Check our ice cream page for flavors. What's your favorite? Exquisite paté from Three Little Pigs, high quality hams from Schaller and Weber, Abraham, Framani and more. We change our selection but always have something for breakfast! Fresh hard rolls, blueberry turnovers, croissants. WE WILL BE ON CLOSED FOR VACATION UNTIL FEBRUARY 20TH. SEE YOU THEN! !